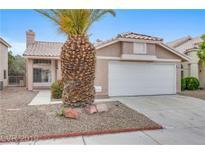 Below you can view all the homes for sale in the Metropolitans Colony Grant subdivision located in Las Vegas Nevada. Listings in Metropolitans Colony Grant are updated daily from data we receive from the Las Vegas multiple listing service. To learn more about any of these homes or to receive custom notifications when a new property is listed for sale in Metropolitans Colony Grant, give us a call at 702-930-8014. Community w/clubhouse, tennis, volleyball, Pool & Spa. 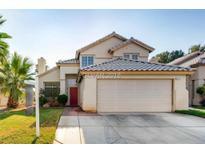 MLS#2087667. GK Properties. Beautiful Home In Smoke Ranch Community With 4 Bedrooms And 3 Bath,2 Car Garage,Vaulted Ceilings,Huge Yard,Nice Landscape,Private Backyard...Plus More!!! ! MLS#2012318. Century 21 Americana.